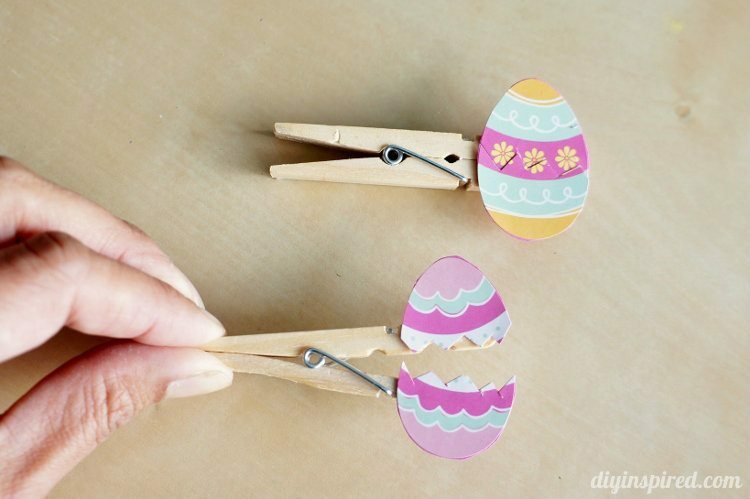 The other day, Mia and I were playing with all the clothespin crafts we made and she suggested making an Easter one. I know I know… she’s way ahead of schedule because of me! 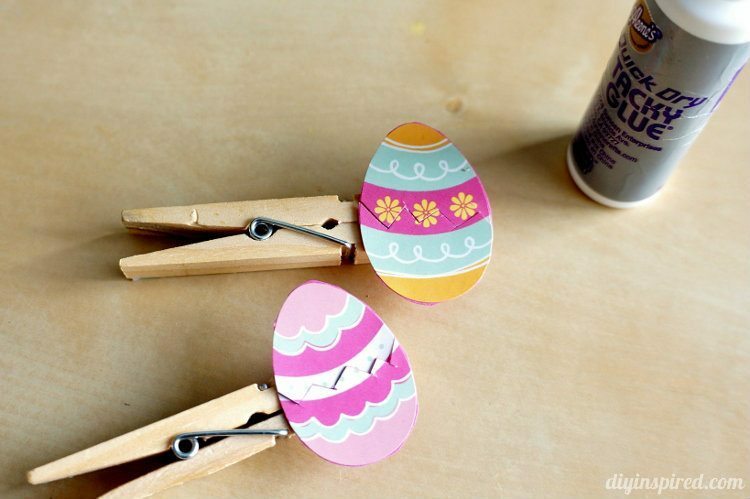 We ended up using some old stickers we had to make our Easter Egg Clothespin Craft. 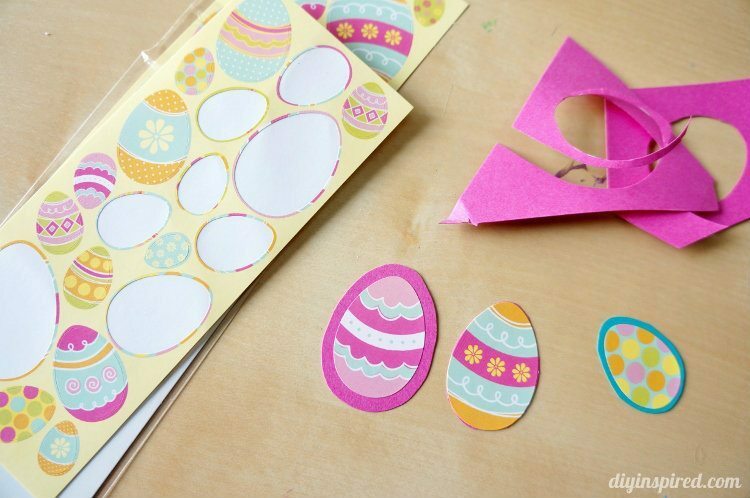 First, I had her pick some paper scraps and place the Easter Egg stickers on them. I cut them out with scissors. Some I left with a little boarder. If you have older kids, they can cut them out themselves. Next I cut them down the center in a zig-zag to appear cracked. We glued them onto our clothespins. Mia said we needed a baby chick in the egg so I grabbed some craft felt birds that I got in the dollar bin at a craft store. 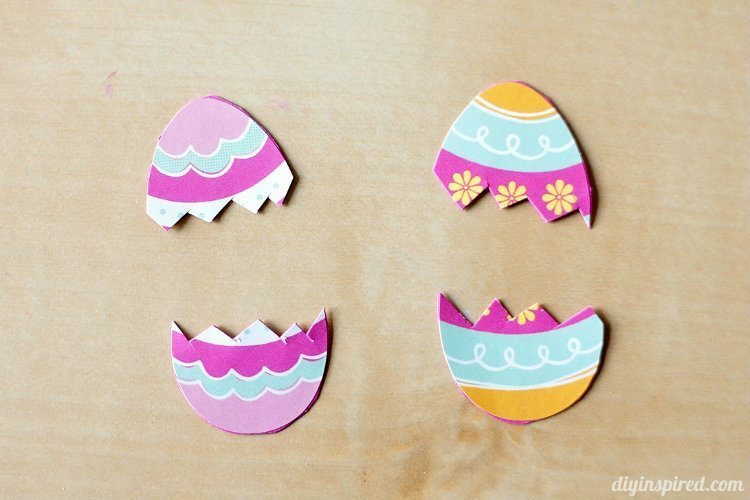 I have used them before in this Recycled Book Heart Garland and these little red Solo Cup Easter baskets. 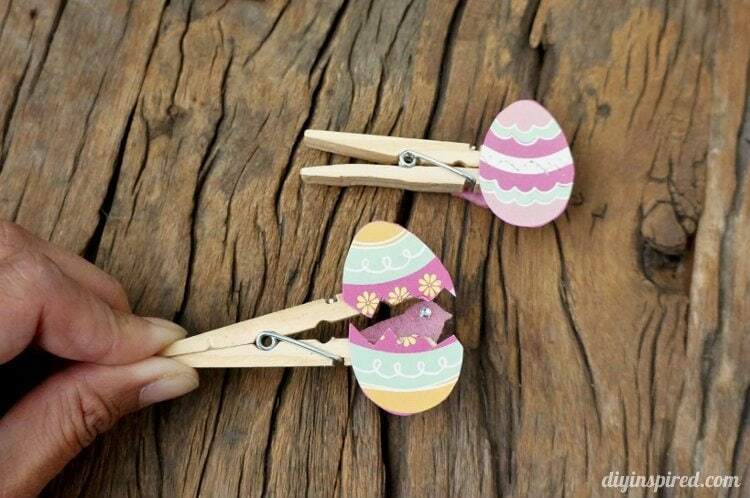 We glued it to the other side of the clothespin so that it looked like it was perched inside of the egg. Aren’t they adorable? Mia just loves them. She has played with them so many times that she broke a few but they are so quick and easy to make we just made some more!